Seems God has been listening to me. My fetish for gadgets and mean machines got satisfied to some extent with a very interesting mail! I along with other bloggers were invited to the launch of the all new Honda JAZZ! And that was not all...we were going to drive the handsome mean machine at nowhere other than the BUDDHA INTERNATIONAL CIRCUIT, India's only Formula one racing track! I could not believe it! Being a blogger really gives you some amazing opportunities. I was eagerly waiting for the D Day. A Saturday means a hell lot of work at the hospital but I wrapped them up as much as possible and convinced my team to take care of the rest! Long story short, I was too excited for the drive itself. We were taken to Radisson Greater Noida for meeting fellow bloggers and lunch. From there we took the Yamuna Expressway to the Buddha International Circuit. Well like every guy, I am a gadget freak too. I am constantly upgrading my gadgets and looking forward to new technology. Among all the gadgets, my favourite is the smartphone. A smartphone covers all my daily activities....from the morning alarm ,to do list, clicking pictures to surfing the web and updating social media. I simply cannot live without my phone. And that is why I need it to be really smart! When I was invited to the epic launch of the Asus Zenfone2, I was mesmerized. Whoa! this phone could do everything that I could ask for at one third the price of its counterparts! It ought to be on everyone's wishlist! Sleek Look: My phone has to look good. 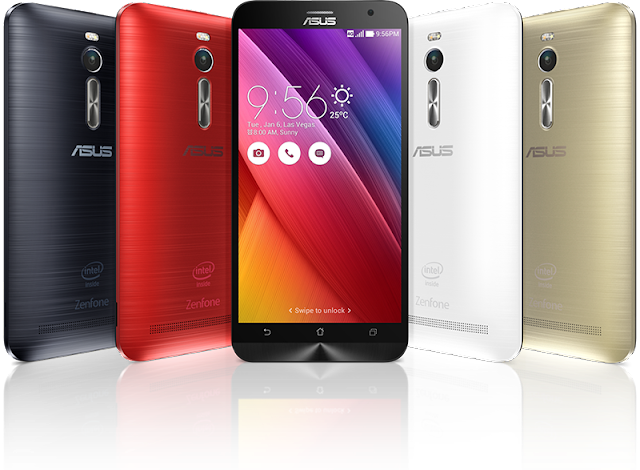 The Zenfone 2 has a luxurious ultra slim ergonomic arc design. It has a large screen and looks super elegant.